As a Mom, deciding whether or not to return to work is one of the hardest decisions that we have to make, especially when our children are still young. On the one hand, you might want to spend as long with them as you can while they are little, childcare is expensive if you do want to work, and you might feel as though your place is at home with your family. On the other hand, going out to work sets a good example for your children, spending time with other people is good for you and them, and going out to work gives you independence, both socially and financially. There’s certainly no right or wrong, and each family has to decide what is right for them. But, if you do choose to return to work, you won’t always be able to return to your previous position. It might no longer be suitable or even possible. When this happens, you might consider exploring new options. You’ll be looking for flexibility, room to grow, an understanding and sympathetic workplace, something that you enjoy and makes you happy and, of course, the salary. Nursing can be a fantastic option. Yes, the hours can be long, there is often shift work and there’s no doubt that it’s hard work. But, it also has many benefits. Let’s take a look at some of them. One of the most significant advantages of working as a nurse is flexibility. Hospitals are always open. They never take a day off. You can fit your work around your home schedule easily, and change it when you need to. Nursing can be many things. Once trained you can take Online RN CEUs to give yourself more options. You could work as a midwife or a mental health nurse. You could work in a hospital, a GP’s practice, a school, a health center or a retirement home. You could work with babies or the elderly. You’ll never be short of options, and if ever you get bored you can apply to work in a different speciality. If you work in a private healthcare practice, you may be able to work part-time, or job share with another nurse. In a hospital, your hours will be long, but working 12-hour shifts can mean that you can work a three day week and still earn a full-time wage. 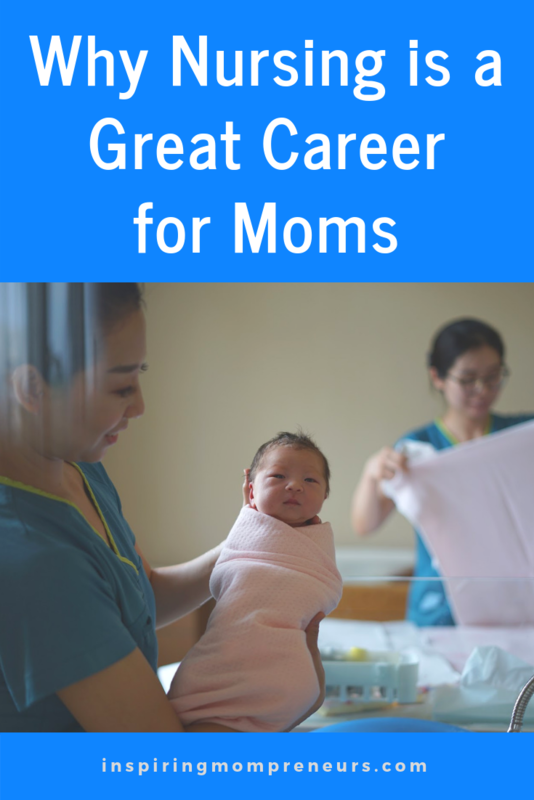 Your mom skills, and what you’ve learned by having and looking after your own children, can be useful in many different careers, not least nursing. You’ll have learned how to organize and manage your time, as well as other people. You’ll be able to cope under pressure. You’ll have an excellent bedside manner and be sympathetic to the needs and emotions of others. You’ll be good at explaining difficult concepts clearly and passing on relevant information. You’ll be great at communicating between doctors, patents, other service providers and family members. 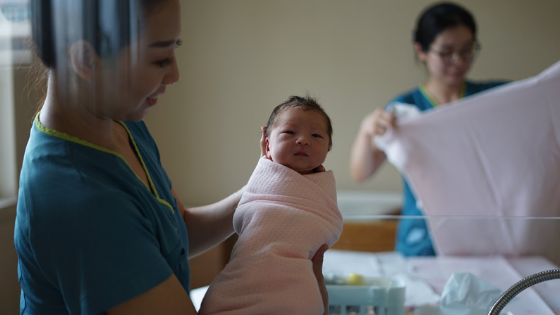 Moms are nurturers and nursing is one of the top nurturing professions. Have you ever considered going into nursing? Or were you a nurse before you became a Mom? If so, did your nursing change once you became a Mom? Or did you feel you couldn’t go back to nursing because all your nurturing was going to your children? We’d love to hear your story. Feel free to share in the comments below.